A paradigm of decision making. Our mission is to share the power of effective decision making with pilots of all skill levels. From simple, to cinema, hobbyist to commercial pilot; our intention is to encourage drone pilots to reduce their crash rate, in flight and in life, through intelligent and informed decision making. Our mentality around understanding aviation broadens the audience of our drone flight school for a variety of learners and intentions. It's undeniable that if I were to ask you "Have you ever flown a drone before?" with a drone in my hand ready to let you fly, your adrenaline levels would start to noticeably increase. Whether you have or have not, you are feeling a kick of adrenaline because our brains have an emotional reaction to events before our rational mind is able to engage. Not only does our brain have to find this emotional-rational mind balance, but it is also influenced by a variety of other purely internal factors such as illness, medication, stress, alcohol, fatigue, and emotions. The management of these combined internal factors with the task requirements at hand is what we call Pilot EQ, and is what we feel as the number one influence of intelligent problem solving in our world whether you are a pilot or not. We believe our students are not only becoming better pilots, but truly making the world a better place by improving their problem solving techniques with Emotional Intelligence (EQ). Keep in mind, that you don't have to be a pilot to notice when your personal capabilities are being tested in life. Implement awareness and discernment to better handle the task requirements you are juggling in your personal experience! We can show you how by pilot your life intelligently. At Pilot EQ, we use Aeronautical Decision Making techniques tested by the FAA to decrease the likelihood of crashes and increase Emotional Intelligence (EQ) by flying drones. This means that you can increase your performance success in any and every area of your life while also learning how to pilot drones intelligently with our coaching. We truly believe that mindfulness of our individual actions through our daily interactions can make the world a better place. Flying drones regularly with form in mind can increase focus, emotional management, situational awareness, and social competence. Backed with Psychology and distilled aviation concepts, our system is formulated for EVERYONE to learn how the benefits of flying RC aircraft can encourage mindfulness and self reflection. Our system takes the need-to-know aspects of flying drones, and teaches them in a way that is more refined and easier to remember by building an association with each aspect in an organized manner that establishes ease in memory recall. Through flight training, we share techniques that will improve confidence in daily decision making, along with long term goal orientation. Pilot EQ is the first to provide training of its kind: get to know details about the Part 107, your aircraft, camera, business direction, AND professional hands-on drone flight operations training; all with the added bonus of learning techniques that improve your overall confidence in decision making and goal setting! Pilot EQ provides the ultimate UAS training: professional hands-on flight operations coaching combined with applicable skills and techniques you can apply to your life in a variety of ways, for the rest of their life. From simple to cinema, hobbyist to commercial pilot; our intention is to encourage other drone owners to be safe, intelligent, and informed pilots. We offer a variety of workshops and classes that help anyone and everyone understand the importance of mindfulness and self reflection through aviation, while also providing a resource for students to acquire their FAA Remote Pilot In Command Certificate by passing the Part 107 Knowledge Test. Below are the three attributes that make our UAS Drone Training System different than any other training, along with details about our methods and Pilot Rating System. EMOTIONAL INTELLIGENCE FACILITATES MINDFULNESS AND EASE IN EVERYDAY DECISION MAKING, AND WE BECOME LESS STRESSED, THEREFORE MORE KIND TO OTHERS AND OUR PLANET, AND COLLECTIVELY WE SEIZE THE OPPORTUNITY TO MAKE OUR WORLD A BETTER PLACE THROUGH MINDFULNESS IN THE DECISIONS WE MAKE. Sports Psychology is behind our coaches, since true success in our program is based on our students being self-motivated to reflect in goal orientation and management. By realizing a goal worth improving towards, self reflection is cultivated, and we develop confidence through self awareness. Assurance and empowerment grows with coaching and mentorship. This sense of empowerment shows in our interactions, and ultimately in our decision making- from topics small to large. We can see this confidence affect decisions in our workplace, relationships, instantaneous day-to-day decision making, and long term goal setting. No one enjoys second-guessing themselves when making day-to-day decisions OR flying, so come eliminate the unnecessary mental habits with our system! Flying with our coaches will provide opportunity to reflect on mental patterns, while you are also given guidance on a more effective thought process. As we consciously choose to improve our flight practice, a little guidance can be helpful. Below lists out the four styles of classes we provide and organize our current 18 courses under: Flight Intelligence Workshop Series, Part 107 Test Prep, Continued Education Interactives, and Non-commercial Mindfulness Flight Workshops. ﻿We have broken this series up into three separate workshops for our students to take at their own pace in order to fully absorb and integrate new techniques. Mini drones are provided to our students in the Flight Intelligence 1.0 Workshop. FI 1.0 is open to all. FI 2.0 requires Level 01 Certification. FI 3.0 requires 3.0 Certification. Try out our Advanced Workshop Weekend registration to take the 1.0 and 2.0. For a 2-day packed version of the full Flight Intelligence curriculum, please check out our Part 107 Commercial Class or our Part 107 Immersion. a.) Part 107 Breakdown Session: 7-8 hours total; single or two-day distilled Part 107 training, that includes 3 hours of hands-on flight coaching. 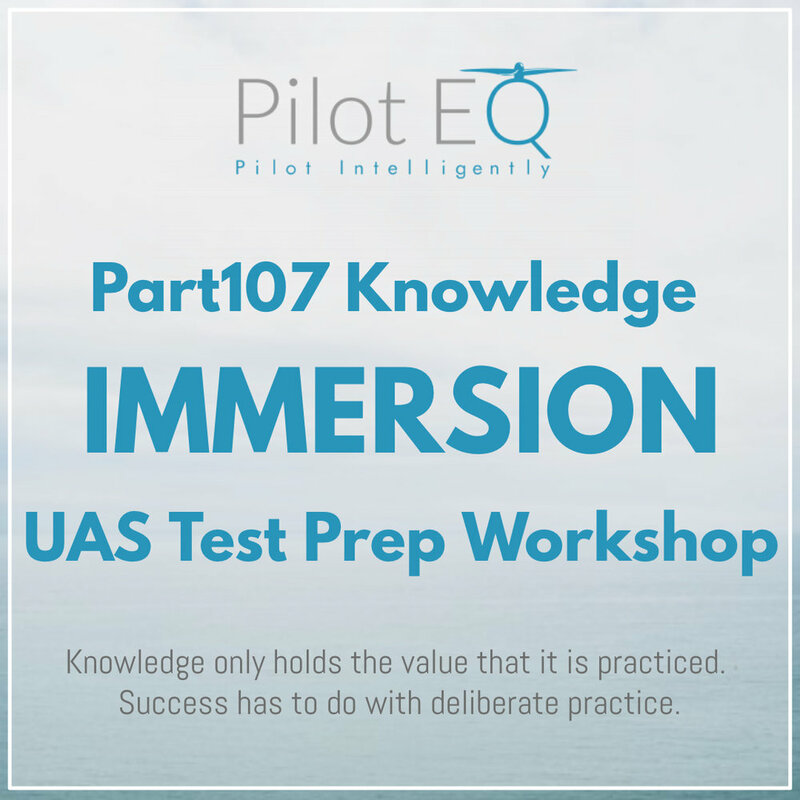 We recommend a total of 12-15 hours test prep time is allocated to understand the scope of the FAA Part 107 Knowledge Test. b.) Flight Intelligence Series: 12 hours total; two-day large group classes with Part 107 test prep and introduction to hands-on flight coaching. c.) Part 107 Online Course (Coming Soon! ): approx. 12+ hours of video content; we will soon have an online course component which will allow students to prepare and study for the FAA Part 107 Knowledge Test at their own pace, from any location. Pilots must apply for OnLocation Pilot EQ Assessments in order to access higher level training workshops. The 9 interactive courses below are available to Level 2 PEQ Pilots after Part 107 is passed and RPIC license is obtained. Our Veterans program was developed with the most distilled intention of our company: share the skill of Emotional Intelligence with those who have not yet been educated about the power of our mind and emotions. We are working with Sponsors to pass on the Emotional Intelligence skill set we train in others. Commercial and non-commercial trainings available for registration. Contact us to nominate an admired Veteran in your life. For those who see the recreational benefits of aviation and flight, this workshop is a perfect first step for those interested in the Emotional Intelligence and decision making benefits of UAS Operations. This workshop implements the Emotional Intelligence and ADM techniques with full focus and consciousness once basic flight operations is mastered. Although our other classes share these same techniques, this particular workshop will provide mental refinement on any level of pilot capabilities. Master your mind, and you will master your world. To the parents and kids with a drive and technological awareness, we have built a curriculum just for you! Setting Young Pilots in the right direction for confidence and success in their future drone flights, this workshop focuses on introducing recreational flight and regulations to kids and their parents. CLICK HERE TO READ MORE DETAILS ABOUT OUR WORKSHOP OFFERINGS AND DATES OF OUR NEXT EVENTS! THE FAA PART 107 KNOWLEDGE EXAM COVERS IMPORTANT CONCEPTS, YET THE TRUTH IS, THE PART 107 CERTIFICATION IS SIMPLY A TICKET TO LEARN. OUR PILOT RATING SYSTEM DEFINES THE QUALITIES OF PROFICIENT PILOT CAPABILITIES AND SKILL LEVELS, TO PROVIDE PILOT QUALITY ASSURANCE THROUGHOUT THE INDUSTRY. The low barrier of entry to becoming a drone pilot has made pilot certification counts skyrocket. With Birds Eye of Big Sky being one of the first 1,000 commercially certified companies in the US, we have seen such a dramatic shift in regulation that seems to compromise quality of interaction between other drone pilots and potential clients. Our developed skill set prioritizes what you need to know to truly be a professional drone pilot, rather than just being another certified person with little professional flight protocol, since flight operations protocol is not tested on the Part 107 Knowledge Test. Our Pilot EQ System involves a 6-level certification ranking system and process. PEQ Pilots will be coached in the classes, in which standards of operations and flight practice are outlined during registration. When pilots are ready ready, students are observed at OnLocation Flight Assessments and given a specific rating on their pilot capabilities. The levels listed below are associated with specific qualities that must be demonstration by our pilots in order to acquire each certification rating. Associated rating signifies that pilots has already demonstrated these practices, while also conveying current practice focus on the next following level. A staple to our system, the Pilot EQ Flight Assessments provide clients and the drone industry and understanding of pilot capabilities and realistic expectations on pilot performance for each level rating. Pilots do not have to take our courses to obtain a Pilot EQ Pilot Rating and Pilot EQ Pilot Certificate. Take some time to practice our flight patterns and prepare to demonstrate to our coaches on request, then take some time to self reflect on your daily habits and triggers. Our Flight Assessments combine testing pilot capabilities and Emotional Intelligence, meaning that Emotional Intelligence (personal and social competence) levels will affect Pilot EQ Pilot Level Rating regardless of advancement in pilot capabilities. Flight Assessments are used to certify pilots for associated rating levels, while also opening the door for advanced pilots to join our PEQ network without taking required classes. As pilots rank in certification, a High Stress Flight Assessment will be required to obtain Level 4 and 5 Rating Certification. DIMINISH CRASH RATES UP TO 80% WITH FAA TECHNIQUES, AND LEARN EMOTIONAL INTELLIGENCE SKILLS THAT ACCOUNT FOR 58% OF SUCCESS IN ANY CAREER FIELD. Defined with the purpose to "diminish human error," manned aircraft pilot techniques are now available for you! Combined with Emotional Intelligence techniques, you will be prepared to make decisions with awareness, assurance, and empowerment. Decades ago, the FAA realized the primary cause of fatality rates 40% higher with helicopter pilots than airplane pilots was human error in decision making; the aircraft capabilities exceeded those of the aircraft, and therefore pilots were able to get themselves into situations their skill level was not able to recover from. 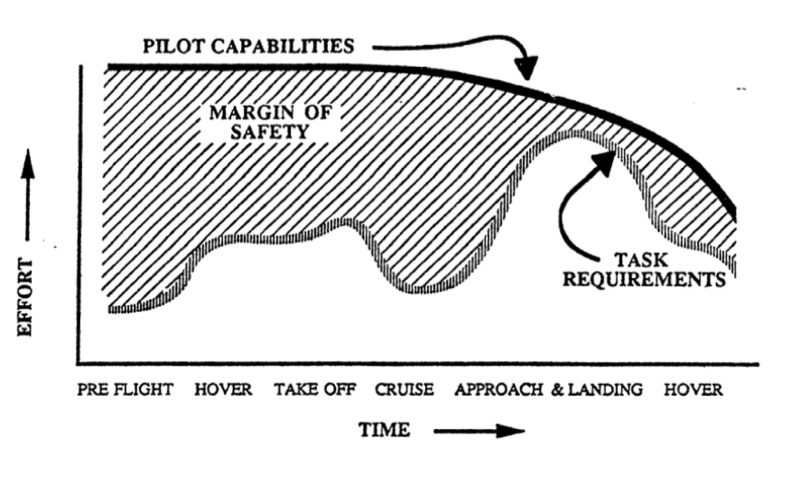 The development of Aeronautical Decision Making (ADM) techniques have effectively resolved this disparity with manned aircraft pilots, as the FAA has statistically seen ADM techniques diminish crash rates up to 80%! CLICK HERE TO READ MORE ABOUT EFFECTIVE AERONAUTICAL DECISION MAKING TO LEARN MORE ABOUT THE TECHNIQUES WE SHARE WITH OUR PILOTS! Although "emotional intelligence," is a phrase that could have multiple interpretations, the dictionary defines this as "the capacity to be aware of, control, and express one's emotions, and to handle interpersonal relationships judiciously and empathetically." Drs. Travis Bradberry, author of Emotional Intelligence 2.0, defines Emotional Intelligence as, "your ability to recognize and understand emotions in yourself and others, and your ability to use this awareness to manage your behavior and relationships." Our team has combined technical flight training enhanced with mental wellness techniques for students to increase their EQ while in flying with our coaches. Surprisingly enough, EQ accounts for up to 58% of performance in all types of jobs. So this is a very real and practical part of our minds that we all need to be more aware about. "Emotional Intelligence is the aggregate of abilities, competencies and skills that represent a collection of knowledge meant for coping with life effectively. Thus it is closely related to the personal and professional growth of the individuals who have to take decisions under stressful and difficult situations." CLICK HERE TO READ MORE ABOUT THE AFFECTS OF EMOTIONAL INTELLIGENCE ON OUR DECISION MAKING! When it comes to pilot capabilities, there is no end to practice. Rather than feeling fear and seeing failure, developed skills unveil the truth- one that all true PEQ Pilots understand- which is that every flight provides a lesson or stepping stone, and it is our mindfulness that unveils the purpose of any experience to us. Having a coach and/or mentor can provide our practice with feedback, and thoughts to consider that can be constructive to our longterm habits. Pilot EQ Head Coaches Danielle and Matthew strive to share their knowledge base and resources with the rest of the drone pilot community after working under Schedule 333 Exemption regulations since 2014 with their company Birds Eye of Big Sky. Primarily applying Autonomy Supportive sports psychology methods, this powerhouse team uses communication and charism to get pilots motivated about flying for mindfulness, fun, and work with empowerment. Training since 2014, they use these years of experience can benefit and inform other pilots to fly safely, intelligently, and mindfully for overall ease in decision making. Experience the timeless benefits of mindful flight. register today!